Marilyn’s life has always incorporated her strong dedication to fitness. 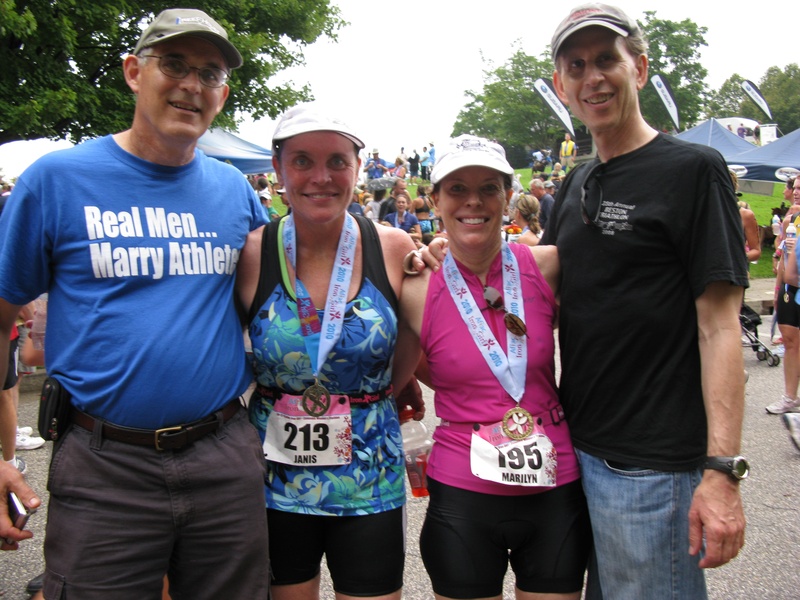 After her husband Bill retired, the two of them entered local races, completed triathlons, and worked out every day together for three hours in the morning. 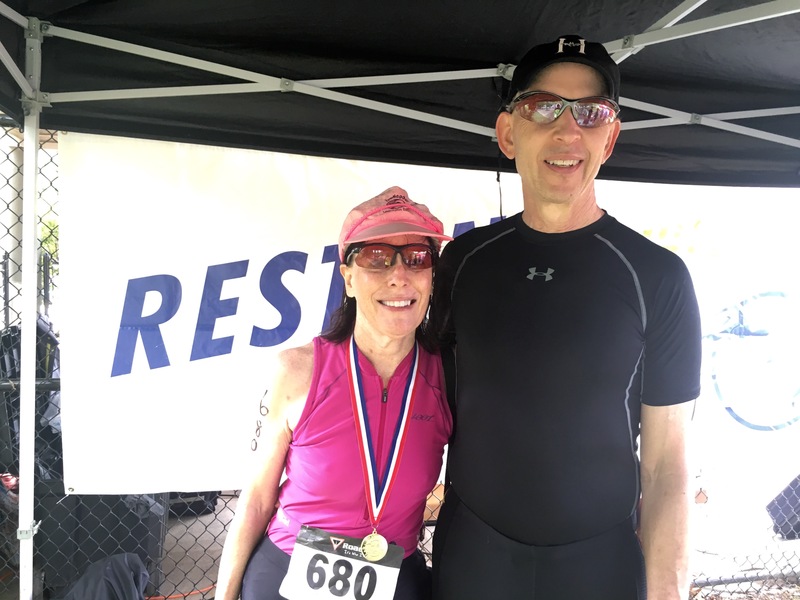 She began participating in triathlons at the age of 62, and quickly developed a love of fitness challenges and competition. They became inseparable over their 34 years of marriage and never stopped inspiring each other. 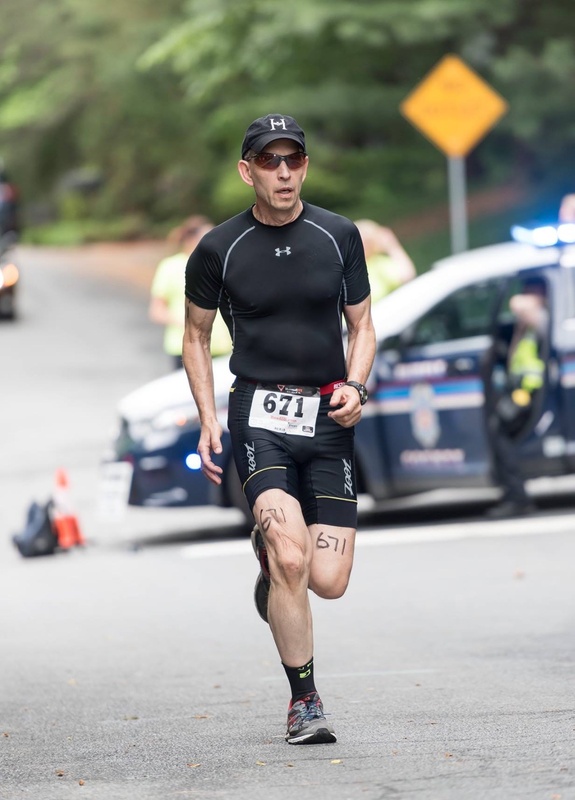 Bill was biking one day when he was suddenly struck with cardiac arrest, causing him to fall off his bike and sustain severe head trauma. After six days in the hospital, one of which was their 34th anniversary, Bill passed away from his head injuries at the age of 64. Marilyn, then 71, was utterly devastated. She gave up on everything and began to deteriorate physically and mentally. She lost the will to exercise, her weight dropped, and her muscles shrank. Carrying on without Bill was unthinkable for her until her sister Jan discovered Run the Year and proposed that they do it together as a team. Jan and Marilyn signed up for the Run the Year Challenge together. Though they live in different states, sharing the miles and working together toward a goal was a motivating challenge. “It got me back,” says Marilyn, “I didn’t want to let my sister down and I needed the motivation.” They had done women’s triathlons together since doing Iron Girl in 2010. Marilyn slowly came back to exercise and doing what she loved. “It felt good to walk or run, even in cold weather,” she says, and the exercise allowed her to find at least short-term goals after the incredible tragedy of losing Bill. The sisters, dubbed “Team SisterLove,” finished Run the Year on July 7th and signed up for Amerithon on July 17th. Marilyn says that the way the programs are organized, with all the virtual badges, medals, trackers, mile markers, and community support, she’s been able to remain inspired to stay fit and continue doing the challenges. She tells everyone about the challenges and remains an enthusiastic and active participant. She exercises now not only because she loves it, but because it is one of the best ways to commemorate Bill and keep the spirit of their relationship strong. Marilyn has successfully completed our challenges, finishing Amerithon with her sister on her 73rd birthday, March 15th 2018! Jan finished in Michigan and Marilyn ran to the Washington Monument itself. Marilyn said in one of her emails to us “The run felt strange at times because I knew that if Bill were here he would have come down to the Mall to run with me and keep me company on the final sprint to the finish. But he was in my heart of course and hoping he was with me in spirit as my biggest cheerleader. It was a thrill to finish this way, and it was a special race to do with my sister — the real athlete who pulled me along with her!” Marilyn has inspired us with her determination and her ability to recover from tragedy and loss. Her story is incredible, and proof that it is never too late to start enjoying fitness and seeing what your body and mind are capable of. Thank you for inspiring us Marilyn!! Have a story you want to share? Email us at: info@runtheedge.com – we would love to hear from you! Previous Post Faces of the Amerithon Challenge: Meet Cancer Survivor Amy Turasky Next Post What’s New in 2019? Marilyn is one of those people who becomes a resilient leader no matter what cause of event comes her way!